I love making foodie gifts for the holidays and the last time was in New York with Simon’s kids making chocolate lollipops for Sophie’s birthday & Halloween. We had great fun, making a bit of mess hand tempering chocolate on Simon’s lovely granite kitchen worktop with Belgium chocolate, pumpkin & ice skate moulds from Lil’s Chocolate Shoppe in Pleasantville, NY. I was inspired by my favourite chocolatier in London Paul.A.Young to make some home made truffles for Easter. I am a fan of his innovative flavour and texture combinations -iconic sea salted caramels, bergamot tea infused, gingerbread & even Marmite. Marmite I hear you say, it might be a love or hate thing, but trust me it tastes fantastic as part of a chocolate truffle with the yeasty salty taste enhancing the dark, rich, smooth chocolate. I decided to get a bit creative after tasting some artisan Chikali coffee from Malawi, roasted by my friend Carolyn’s son Ben, founder of the Profile Coffee Company, and the World’s youngest professional barista at 15 years old! The coffee taste is smooth, rounded, with a slightly fruity, nutty, mocha taste which I thought would work brilliantly in a chocolate truffle. if you don’t like coffee you can leave it out or experiment with your own flavour combos. 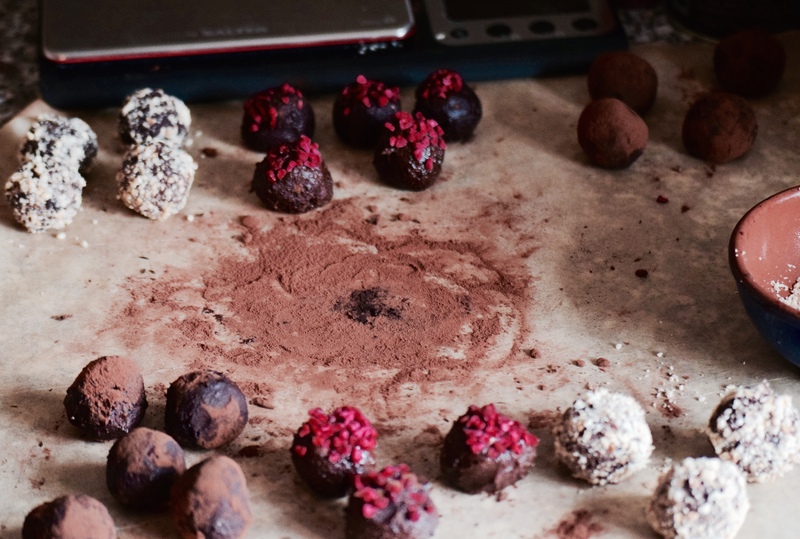 The truffles are easy to make, and great to get the kids involved, even if a bit messy, the chocolate even makes your hands soft! Thanks to Paul.A.Young for the basic ganache recipe. I used 120g of 60% cocoa solids dark chocolate from Dominican Republic & 50g of 39% cocoa solids milk chocolate. If you prefer just dark or milk chocolate, that’s fine. Rolled & decorated – messy fun! 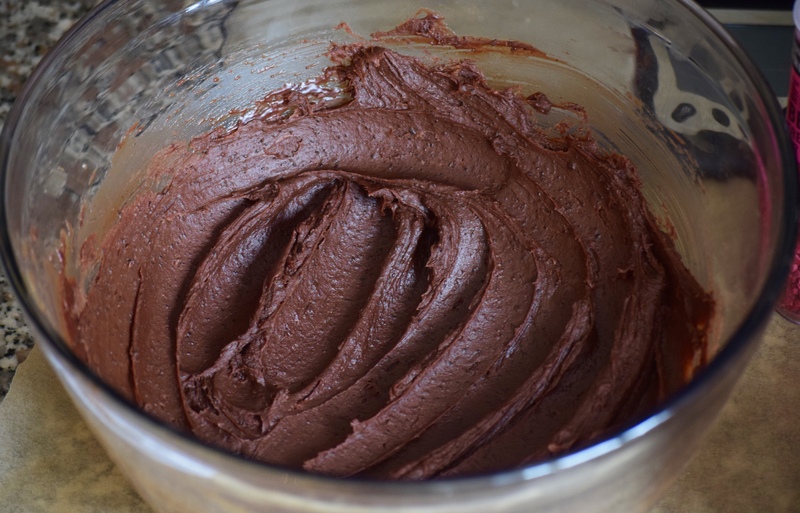 For a dairy free version you can make a water based ganache substituting the cream. The truffles will keep for up to 5 days if stored in the fridge, take out 15-20 minutes before serving to warm up to room temperature. In my house, they won’t last that long! Happy Easter & Happy Chocolate Truffle Making. Gorgeous photos, these sound completely delicious! It’s raining here in the Midlands so it’s definitely a day for getting creative in the kitchen, I might just have a go at these too! Have a brilliant weekend! I heard a whisper, from someone who tasted these last weekend whilst celebrating a very special birthday, that these were completely delicious!